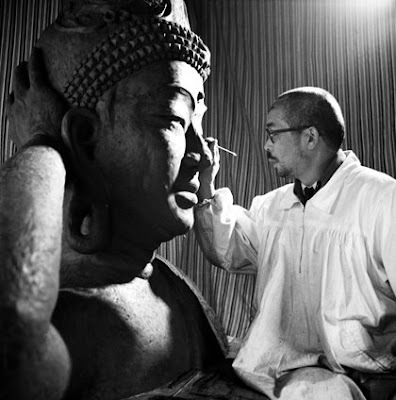 Shinjo Ito Works on One of his Most Famous Sculptures, The Great Parinirvana Image. The Vision and Art of Shinjo Ito celebrates this great Japanese artists sculpture, calligraphy, and photography work in this exhibition. A devout Buddhist too, he helped create Shinnyo-en Buddhism which also played a role in his art. The name says it all in it’s mission to serve a burger as Better Burger uses organic, antibiotic, hormone & nitrate free meat and poultry in its quest to offer up a healthier alternative to the classic patty. A great little wine bar in Chelsea, Turks & Frogs has a menu of wine and beer from all over the world, including Turkey, while having the ambiance of being in someone’s home. A must if you’re in Chelsea, City Bakery offers one of the best chocolate chip cookies and thickest and richest hot chocolates in the city. The food is a gourmand’s delight.